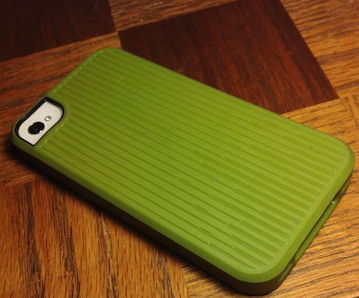 TPU is by far my favorite material for iPhone cases. This is because it provides the sleek look and feel of a hardshell case while providing the stellar drop protection of a standard silicone case. With all of these advantages, one thing is often overlooked with TPU cases: the design. A lot of TPU style cases tend to have less than desired designs and patterns. SGP is aiming to fix this with their Modello case for the iPhone 4 and 4S. Below, I have crafted my full review of this case. Like I’ve stated before, the SGP Modello case is made from a solid TPU construction. This material bends just enough to be able to fit around your iPhone during installation, but not enough to cause your iPhone to fall out of the Modello if dropped. The Modello case also seems to hold its form very well and has not “loosened up” over time like other TPU cases tend to. The Modello case is also extremely well designed as it features two different etched designs, both of which offer clean, minimal patterns. The Modello is also available in six different colors, giving this case an “A+” in terms of style. One last great thing about the Modello is that it only costs $14.99. To me, this is an absolute steal for any case from a premium manufacturer. Not to mention most cases similar to the Modello usually cost upwards of $30. The only major flaw that I can find in the Modello case is the fact that it doesn’t include a screen shield. While SGP has said they’re not including a screen shield to keep costs low, I would still like to see them offer one for guaranteed full body protection, which makes all the difference. 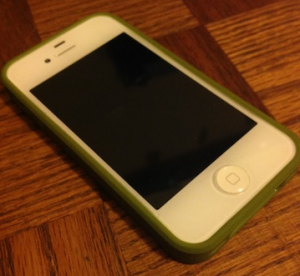 All in all, the SGP Modello case is perfect for anyone who is in the market for an inexpensive case for the iPhone 4/4S. With the Modello, you’re getting a very well-rounded case for an absolutely unbeatable price. This case deserves a solid 9/10.